Ms. Wang is the founder, editor and co-translator of 21st Century Chinese Poetry. Born in Taiwan, Meifu Wang earned her BA in foreign languages and world literature from National Taiwan University. Her poetry has appeared in various Chinese literary journals and in a few local newspapers and Denver Quarterly in the US. Ms. Wang also earned Master's degrees in meteorology and in transport system design, and worked in these fields in Alaska and Washington D.C. Meifu received a 2013 Henry Luce Foundation Fellowship for Chinese poetry translation for a residency at Vermont Studio Center. In January 2016, she also accepted the appointment by Ningxia Province Poetry Society as its contracted literary translator. Meifu lives in Hansville, Washington, across Puget Sound from Seattle. Read Meifu's poem Dirt Road from No. 4. Michael Soper was born 1946 in Washington DC. He was the last hot-metal apprentice typesetter in that city, and was intrigued by the challenges of word processing for Chinese character fonts. 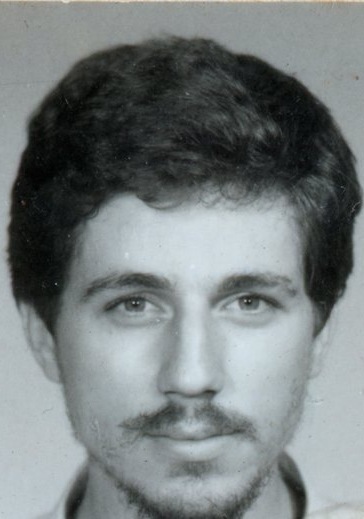 When the Washington Star newspaper ceased publication in early August 1981, he returned to college and did a major in business with a minor in computers. Michael went on to work for the US government as a printer, publications system manager, editor, and contracting specialist. He has been translating Chinese poetry for almost twenty years. Michael has authored eleven books, most of which are poetry. Peter Micic is a translator, poet, tea ambassador, explorer, musician, independent scholar and polyglot currently based in Taipei. Before arriving in Taiwan, he spent five years in Yunnan trekking across tea mountains writing and imbibing in oceans of tea. His articles, translations of poems and book reviews have appeared in international refereed journals and magazines. Peter holds a Ph.D in modern Chinese music history from Monash University in Melbourne, Australia. Born in Tongeren, Belgium, Johan Ramaekers is a lyricist, polyglot, and poet. He studied German philology at Ghent University where he also majored in Dutch and English and co-founded a literary magazine called Parlando Furioso which literally means "Speaking Furiously." Johan is also a registered psychiatric nurse specializing in gerontology and dementia. He lives in Ghent, a city in the Flemish region of Belgium. Meifu moved from the Atlantic to the Pacific; she opened a business near Seattle, and hosted the Silk Road Artists there; she traveled in China, and had discussions with the editors of China’s Poetry Journal （诗刊） regarding translation.